This is fantastic information Bruno! Thank you! I am coming from the US and taking my 16 year old daughter on a humanitarian trip with Habitat for Humanity in July where we will be building a home for a family in need near Braga (Domas). We will be there for 6 days and in Porto for 2.5 days. 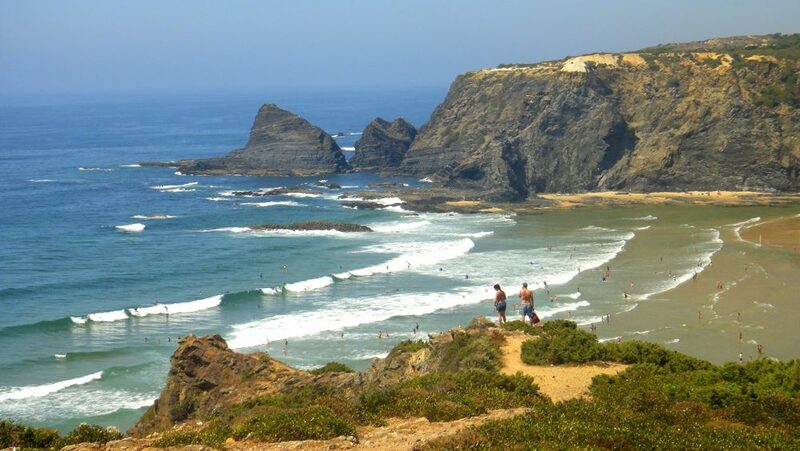 We then have 5-6 days to enjoy other parts of Portugal. What would be your recommendations to make the most of our time there with a 16 year old girl. She is not interested in museums or learning a lot of history. She just wants to see your wonderful country and be part of the culture and action. She loved the pictures of Camilo beach and the rock formations as well as Bengali Cave but have read that other beaches are comparable. I know there is a lot of ground to cover between Porto and the Algarves so I have struggled with what would be our best options. 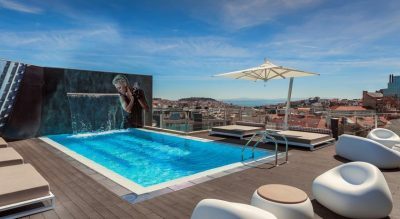 Great article, but I was quite disappointed that Madeira Island wasn’t included when it is actually one of the main reasons that Portugal was named best travel destination in 2018? Besides being the birthplace of the best soccer player in the world it boasts many, many other spectacular features. I think your readers are missing out. Thanks for the tip, there are definitely many more reasons to visit Portugal, I just happen to compile 45 of them. What a great article. Thank you. We moved to Portugal just over a month ago having fallen in love with the country when we were walking the Via Algarviana back in 2015. We are still exploring and discovering new places but there is nowhere quite like Portugal – and you’re right, the people are extremely friendly and welcoming. Even when we go off the beaten track and they don’t speak English they will spend ages trying to communicate with us. Two places which we have visited on the spur of the moment and absolutely loved are Coimbra and Elvas (near the Spanish border). Both well worth a visit in our view. Hi – thanks for the great post! My husband and I want to visit Portugal but the only time we can go is August. Any recommendation for beaches that are slightly less crowded during that time? Something off the beaten path perhaps? Hi Nicole, August is a really tough time and I’m afraid there aren’t any “hidden gems” at that time. The most touristy beaches will be filled with tourists and the other ones will be where locals go to, so it will be hard to find less crowds. I would stick to Aljezur area and do some explorations around. More in the middle is very ‘calme’, between Aveiro and Figuiera da Fox. Beaches like Mira, Tocha, Murtinheira. Day visits to Coimbra, the former capital. Or the green heart where we live (Serra da Estrela). Hi Bruno! Wonderful post! I am thinking about going to Portugal in June for about a week, and am hoping to see a combination of city sights and nature. How is train system in Portugal? Is there a way to get to some of the places you mention by train? Not sure where you coming from, but I’m sorry to say train system in Portugal is poor compared to other places in Europe. You can definitely visit some of them by a combination of buses + train though. Check CP and Rede Expressos websites. I’m taking my husband to Portugal! I am very interested in visiting Portugal. Can you tell me if the weather in Portugal will be too cold for outdoor exploring? ( I am from Canada). Any hints on best places to go in February? Well, I can’t predict how the weather will be and also depends on where you’re going and your tolerance to cold weather. For best weather chances, I recommend Madeira or Algarve (even though it won’t be beach weather). Such a good post! Makes me want to go back to Portugal immediately! Just returned from my second visit to the Azores. I can’t say enough about this beautiful place though I really want to keep it to myself! Obrigada Bruno, for your suggestions that helped us plan our itinerary on Sao Miguel and Pico. I have to say you did miss a few gems on Pico, such as Cachorro and we really enjoyed our trek through the vineyards and along the west coast on the Criacao Velha trail. The food was outstanding and we particularly enjoyed delicious mid morning coffees at various bars around the island as well as afternoon snacks of savory olives, fresh bread and amazing cheeses from Pico and Sao Jorge. And the wine… I have to say the Duoro wine was sublime. Already planning a visit to the Triangle islands for my third visit, this time with Hubby so I don’t mind visiting Pico for a second time. Thank you for sharing Suzan, you made ME want to go back to Pico now ! Wow! We just today got accepted to an international convention of Jehovah’s Witnesses the last week of June! We want to come 3 weeks earlier to explore. Do you have a recommendation for a base from which to travel? We live old, we live rooftops and LOVE the train. And wine? Of course! It was Jesus’ FIRST miracle! Actually, I have adopted family that are Portuguese, so have been hearing wonderful things for years, but this gives me that little extra nudge that I needed. Sounds like it’s time to book a flight Erica! I’m afraid I’m not a travel agency. I suggest you check my travel smart page. Hello, you have convinced me to visit Portugal! What can you tell me about Lagos? I will be traveling alone so are there places that I can go to meet people? Thorough research and impressive writing style is what struck my mind after reading your blog post. Marvelous! Thank you Leni, glad you’ve passed by! This is adorable and I’m following your lead. I am really impressed with Portugal. Can u send me more info. Sorry, this is the most generic request ever. I can’t help you without knowing more about your interests and plus, there’s plenty of info in this article already. 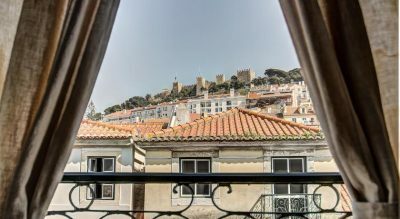 I totally agree with this post- I recently visited Portugal (albeit a few years earlier it wasn’t even on my radar) and now it is in my top 3 summer destinations. I felt it overshadowed Spain (for me personally) in terms of cost, culture and atmosphere! And of course, the wine was phenomenal! Thanks for sharing your experience Stephanie! Excellent details you have shared. Me and my friend are planning for a week trip to Portugal in November. Between Porto and Algarve which would you suggest? We are ok to go to Algarve without getting to the waters as long as the rain doesnt spoil the days much. Please advice. Porto and Algarve are completely different places of the country, yielding polar opposite experiences. 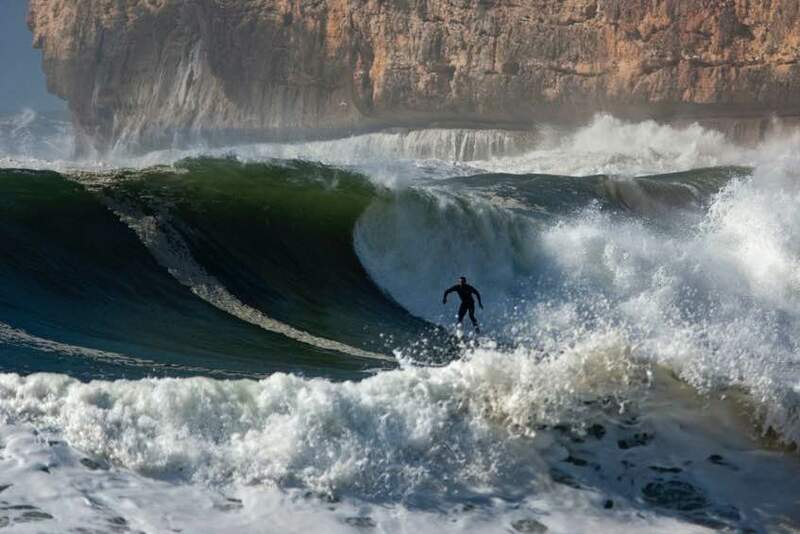 In November, there probably won’t be beach weather, which is Algarve’s strongest point. So I’d choose Porto. But this is me personally – I suggest you research both destinations and see what resonates more with you. how is the weather in January? We are looking to end a trip in Portugal before heading back to states and want to end it somewhere warmer than say…snow filled Switzerland Alps….and it is between this and Spain, but I just think lthis will have more to offer for the money.. I can’t predict the weather, but usually is in the range of 8-13 degrees. Expect rain in at least 50% of the days. What a lovely article! My husband and I are planning a 12 day long holiday this June with our 10 year old. Besides Porto and Lisbon (4 days each) which other place is worth visiting? We will be relying on trains to take us everywhere. We like to take it slow and easy, and not run around ticking off “things to see”… could really do with some tips. Thank you. I’d look into Nazaré, Coimbra, Évora, Guimarães…in all you can have very different experiences but giving you a very good grasp of the country. 1. What do I need to know to be polite in Portugal?For example, are there any special customs regarding tipping, or other restaurant related things? 2. Do you have any advise for an American who would like to learn to make the nasal sound in certain words that sounds like an “n” to us? My Brazilian friends tried, but I failed. 1. Tipping is entirely optional, no matter what they try to tell you :-). It’s only done in case you think the service was exceptional. 2. 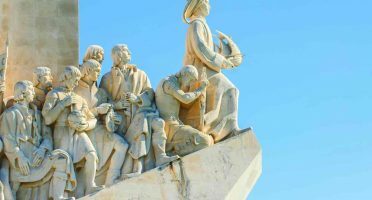 Portugal’s portuguese is very tricky to learn because there are just a few languages in the world which use a variety of different nasal sounds as much as we do. No one expects for you to nail it in your first trip! However you can practice by closing your nasal airways with your fingers and hearing yourself pronouncing certain words (e.g. ending in “-ão”). That helps set your “baseline”, then it’s a matter of replicating locals saying the same word by trying to make the air come out of your nose. I have a chance to visit Portugal in June. I have trouble walking long distances and climbing a lot of stairs, is it pointless to make the trip? Sounds great, I think you’ll love Odeceixe! Bruno …. Bom dia .. como vai ? 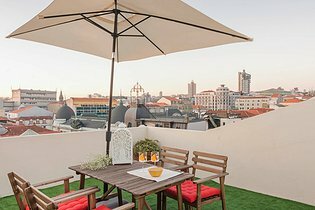 just came across your website as I start my research for an exploratory trip to Portugal with the possibility of relocating there in a couple of years. The information I’ve read so far is great … Obrigado. I’m sure this info is somewhere on your site but, if I want to travel around the country for several weeks, should I rent a car or can I get by fairly easily with buses and trains. 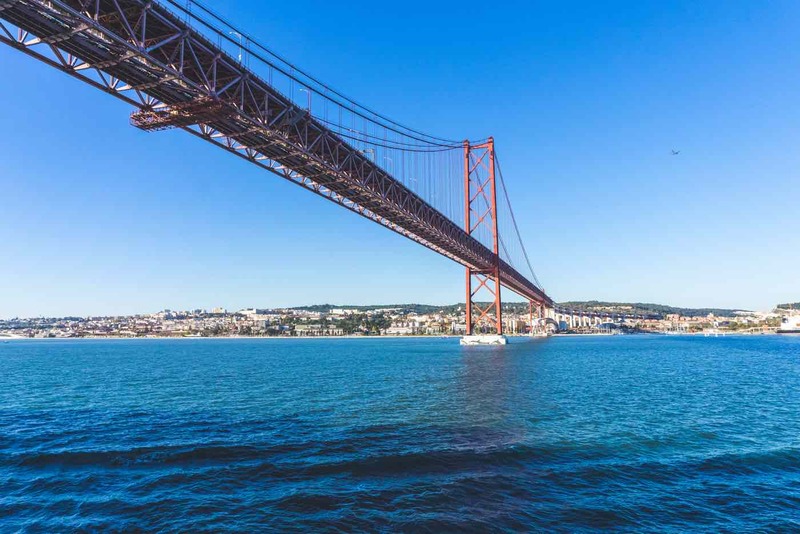 It depends on where you want to travel; if you stick to the main cities you don’t need a car, but if you plan to go a bit out of the main circuit Porto-Coimbra-Lisbon-Faro, then a car is recommended. Tantalizing post! I am thinking of traveling to Portugal for one week in April with my two kids (10 and 12). Based on past experience, we enjoy staying in one place for more days (instead of changing venues every couple of days) so as to have a more intimate experience….it’s often the little things that are most memorable vs. major tourist attractions, if you know what I mean. Can you recommend a “base camp” (or a couple of base camps)? Maybe one big city and one smaller city? I suggest Lisbon + Comporta. Or Porto + Guimarães. This post is absolutely wonderful. So much information. We have booked our visit from Canada for the first 10 days of April next year. Staying a couple days in Lisbon and then on to Evora for a night. Then we head to Albufeira area to stay for 6 nights. We felt this was a very central location along the coast with everything being an hour (give or take) east or west from there. Hope we made a good choice. Will probably visit Portimao, Lagos and Sagres for sure. Anything you would suggest as a hidden gem not to miss along there? I definitely suggest NOT staying in Albufeira, it’s a plastic place made for drunk tourists with arguably the worst beaches in Algarve. 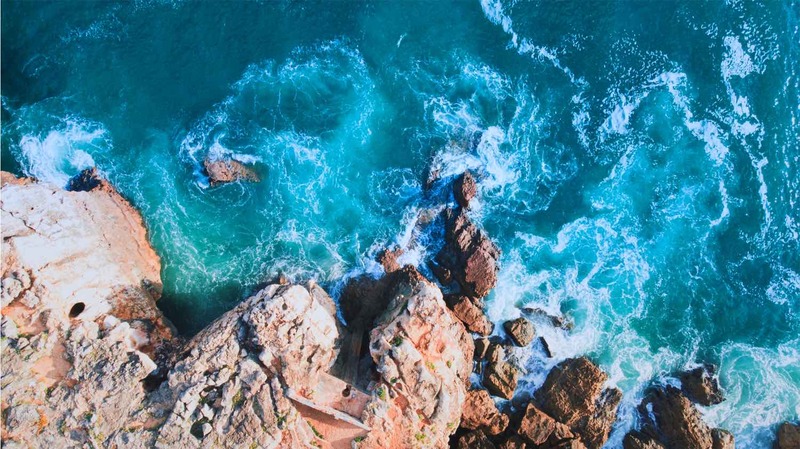 As for your question, there are hardly any “hidden gems” in Algarve anymore, but I’d say the islands near Olhão and the interior village of Silves are worth a visit. Thx…great…but Sintra is arguably the worst tourist trap, expensive plastic place i’ve seen…over-run with tourists…what a shame!!!! on my MUST MISS list! At the time I wrote this post Sintra village was still a gem but I have to agree it’s becoming a bit overrun with tourists lately. 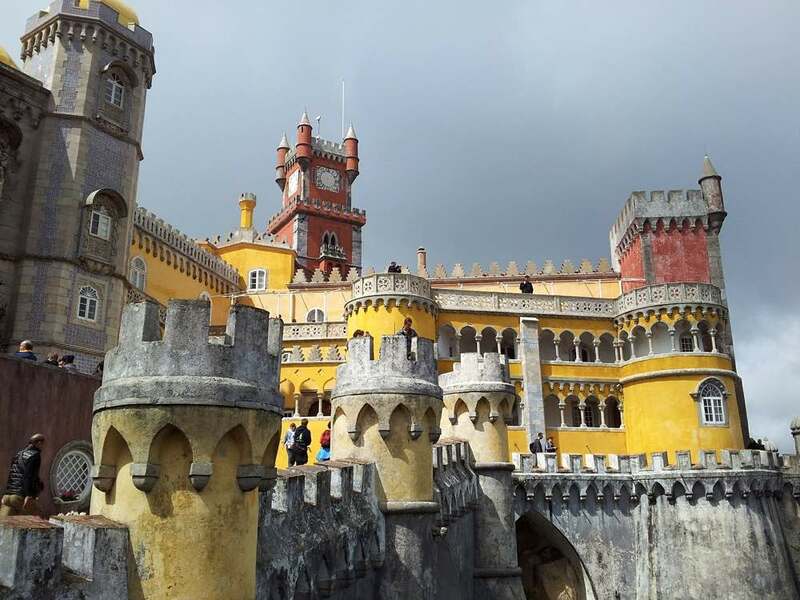 Nevertheless, Palácio da Pena is worth a visit no matter what! Thanks for your inspiring article! After having lived in the country 35 years ago, I can’t wait to show my family around! That must be exciting, hope you guys have a great time! Nice! But you forgot to tell about the centre of Portugal, places like Coimbra, Aveiro, Buçaco, Bairrada just to name a few! I simply love this article very impressive i want to visit now here after looking your beautiful photos of this city thanks again. Amazing list. Stunning photos! Especially the beach one with the colorful umbrellas. And now I want to go to Portugal more than ever! I was planning on starting a cruise vacation in Lisbon and you’ve made rethink the cruise and stay in Portugal! I’m not a fan of cruises at all. Take your time to explore the country at your own pace, it’s a much more pleasant experience. I am Portuguese and I am very proud in my country. Thanks for the (quite) random suggestion! Hope you have a great time in PT! Hi! love your recommendations. Is Portugal warm enough in mid October if we want to hit the beaches? You might be lucky and get summer weather; you might wake up with rainy misty days… hard to tell! Want to relax in a village or small town and talk to Portuguese, knowing that they live a quality life and are truly friendly. Like to be able to hike near where i stay, you and others suggested Madeira, can i easily to it without cars? I ll be going around by public transport only. Can i paddle somewhere too, l like calm lakes? Thank you, hope you have a great time! I have an opportunity to go to Porto and Lisbon in April. Weather wise is that a mistake? 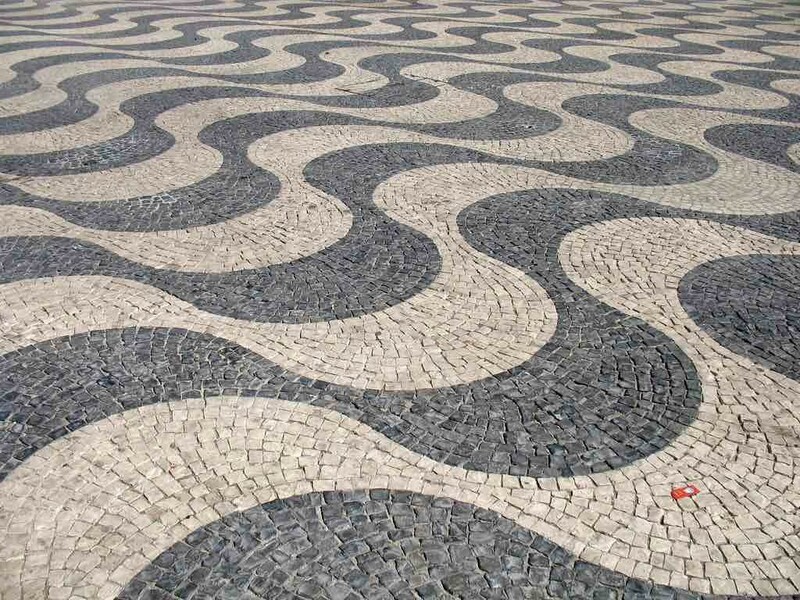 Fell in love with Portugal from your article. Going to book for September god willing. Will that still be beach weather? I want to see it all!!! My soul belongs to Portugal. I feel connected with all these places everytime I go. Great blog, I got here while looking for 3 days itineray in Stockholm, and carried on reading. Happy and sunny future travels, keep safe! Thank you, appreciate your words Monika. Happy travels for you too! Waouhhh I’m quite impressed now, you just sayed EVERYTHING, you just resumed it all, from our great weather to our wonderfull bakeries. I’m just soooo proud of my country, unfortunatly I’m not living in Portugal for instance but I’ll be back to my country that makes me soo happy. Portugal is in our hearts! My dad has been to Portugal with my mom before I was born.But I have one question,can you take a boat from Canada to Portugal across the Atlantic Ocean? Technically you can, but you wouldn’t want to do that. Only if you’re up for real adventure and days/weeks in the sea! i really love to travel to portugal because i always dream of it i will be so glad if i can hav visa to portugal. I am Portuguese and I couldn’t describe Portugal better than that its an awesome country and I love being Portuguese and the best thing about Portugal is Cristiano Ronaldo and the Portuguese football team and the beaches and the food everything is brilliant in Portugal in fact. Great article. Planning to be n Portugal June 15 from Los Angeles, California. i am a travel agent and staying with a friend who rented a house in Sintra Mourisca Galamares Portugal, Rua Mira Serra 22. Can you recommend itinerary what to do in a week and then after checking out of the house we plan to travel out of Lisbon, where should we go? Love your article and will pass along to our group. I can’t really help without knowing your interests, what are your goals and how long you have? Will you have a car? You’ll have to be more specific. In any case, this article and my Portugal road trip have plenty of suggestions! I liked your post very much and, above all, the very positive way you transmitted the intended message. I’m portuguese and lived all my life in Lisbon, except for two years in Leiria and six years in Brussels. If I may give 1 or 2 ideas I would like to point out Madeira’s island of Porto Santo, with its long beach and direct access from the coastal charming hotels; Sagres (in the west of Algarve) with its historical point of interest Cabo de São Vicente and the famous rock Gigante as well as Ponta de Sagres on the west side of the village; at the other end of Algarve Vila Real de Santo António with its “Pombalino” centre (as in Baixa de Lisboa); Évora (my favorite in Alto Alentejo, so I’m partial) and its cathedral and university full of azulejos from the 16th onwards and the villages and panoramas sorrounding this wonderful city (from Monsaraz you can see Spain); Lisbon and Jardim da Estrela and the Basílica together with Campo de Ourique (CdO) with a large selection of restaurants, pastelarias and commerce (tram 28 passes Estrela and stops at CdO near the Cemetary of Prazeres with its above ground crypts; Almeida, small village in Beira Alta inside an 18th century fort in the shape of a star, the last remaining from the Napoleonic wars; Viseu and so may others. Such a small country, so much to see!. I would like to visit Portugal, but have a wheelchair, is there any point in me coming? Hi me and my friend are planning to go to Portugal in July. We want to go hiking in the Madeira as well. How many days in Madeira do you suggest? Also, i know it will be a touristic time of the year any suggestions of beautiful sceneries to go to in order to avoid a bit of the crowd? Also any good hiking sites you recommand? As for the nightlife, in which city is the nightlife the liveliest? Plus I heard about this little historic village which used to be a slavery site and that now turned into a church and name one of the leaders of the freedom a saint, Would you happen to know where that is? Wow so many questions! I’m afraid I’ve never actually been to Madeira, so I can’t really help with that. So glad i found your blog and i am planning for Portugal at the moment. In order to get a somewhat thorough feel of Lisbon, Comporta and Porto (where else?) , how many days in total you would recommend? I am flying in from the U.S. in mid May. Thanks! I’d say at the very least a week for those 3 places. 10 days better. I am writing to recommend several sites North of Porto, far from the sun-worshiping golf life of southern Portugal. 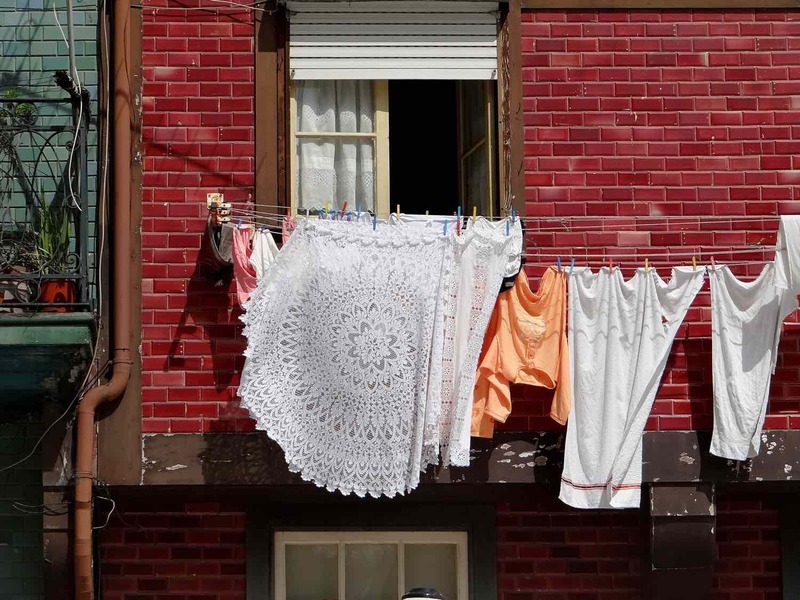 Porto, Braga, Vila de Conde, Ponte de Lima, Barcelos….all are wonderful, far from the tourist crowds, and are relatively close to each other. Thanks Jimmy, definitely great suggestions there! A group of us are planning to visit Portugal next year. We’ve done bus tours and river cruises but would like to try renting a couple of places and going on day trips. Any advice? There could be as many as 7 couples so we’d need a few houses/apartments. Is this even possible to do? I loved your article and took notes. My son-in-law has already introduced us to the addictive custard tarts!! That’s a lot of people, so I’d probably start by looking at large apartments in Airbnb. Where are you heading? Maybe I can give you more specific advice. I really do, I need to explore that area! We leave for Portugal in 2 weeks! We will be in Porto for 4 days, Lisbon 5 days…I already feel it won’t be enough time. I have searched and searched for great articles on Portugal, this beats them all!! Thank you:) I will be taking many notes from this. It’s 9 days, it’s not too bad, better than the majority of people have. I’m sure you will have a great time! I also have some tips in my comparison between the 2 cities. Portugal. Já conhecemos Lisboa, Sintra e Cascais. Pensei em fazer um roteiro de 7 noites pela costa sudoeste , de Lisboa a Faro (usarei as sugestões que vc passou no outro texto) e pensei em incluir 4 dias em Porto (c visitas de um dia a Douro e um dia em Guimarães). Que outras cidades do interior vc recomenda? Muito, muito obrigada, Carolina. A única coisa que posso acrescentar é se tiverem tempo, recomendo incluir Nazaré, Óbidos e Braga. hi, me and my husband are planning to travel to Portugal now at the end of august. 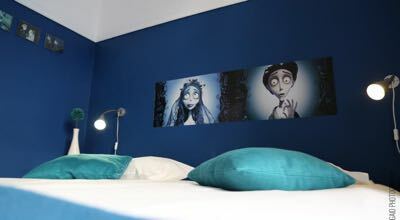 We are definitely going to travel to Lisbon and Porto but we are going back and forth if we should stay for a couple of nights in the cascais beach area. We know its pretty close to Lisbon so we were wondering if its just easier to rent a car and travel back and forth or just stay over night. If you have any ideas I would love to hear it thanks. Just for reference, there are better beaches near Lisbon. Arrabida, Costa da Caparica, Meco, etc are all wider beaches with clearer waters. Having that said, you can take a 40-min train to Cascais from the Cais do Sodre station, so you can do a couple of day trips if you want! Bruno, you’ve convinced me. I’ll be visiting in May and can’t wait. Thanks for all the great information! You’re right, Pico is a reason by itself! This makes it imperative I visit there. My great grandparents migrated to Hawaii for the Azores and Madeira. I am having a hard time deciding whichI want to visit. Don’t have the finances to do all of it. I would like to find cruise ship that visits both and Lisbon but what I find is either the Azores or Madeira and maybe Lisbon. I really want to go soon. 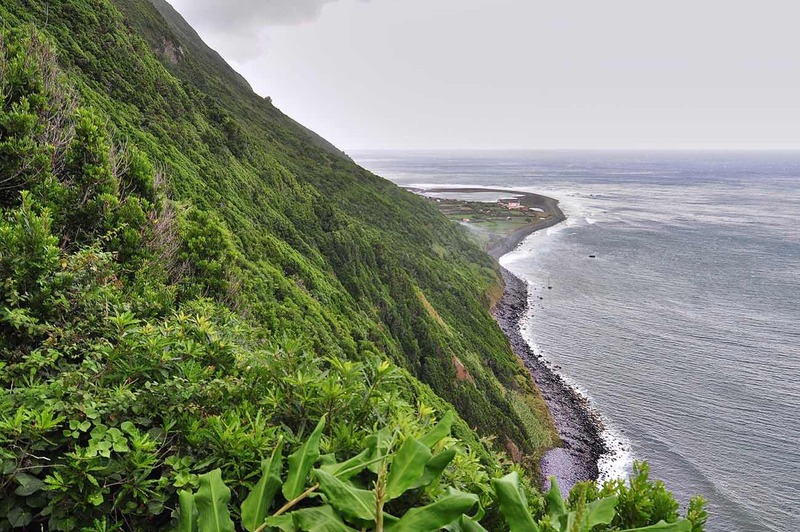 Azores are more suited if you like true nature, hiking and the outdoors. It’s much less crowded than Madeira and you rarely find busy spots to eat or take a photo. Apart from some great hiking trails and scenic views, infrastructure in Madeira is more developed, there are more hotels and tourists. Obrigada! De uma Portuguesa em Inglaterra, ja faz mais que 10 anos que não vou a Portugal. Realmente ha muitas tradições que ninguém nunca ira entender, como as padeiras, a culinária, a historia, muitas pessoas não entendem. Está na altura de uma visita à terra natal Diana, nada como o nosso país! Well depends on what you want to see, you’re the best person to decide that! 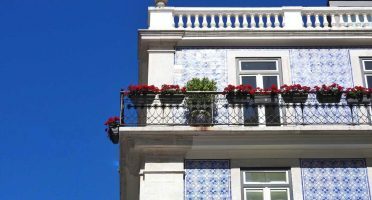 I’m afraid you can’t visit all the places in this article by doing day trips from Lisbon, some are just too far away. Having that said, yes I recommend getting your own wheels for more flexibility. Great article. I am an Aussie in Valencia visiting friends and will have 4 days to visit Portugal. Where should I go to maximise the experience (single middle aged female on a budget – love sun, water, food, history, walking, meeting people). Fly from Valencia to? 4 days is not a lot. I’d probably go for Lisbon and do a day trips in Sintra/Cascais maybe. Great article! Leaving for Porto and Lisboa tomorrow. Even more excited. Check out also this one which covers all cool events going on this summer! Thanks. I don’t accept links to commercial sites though. wonderful piece. well done and God bless. I am packing my bags now. Thanks Joe, I’m sure you won’t regret! Hello I have just read your blog which was very interesting, we are going to cascais in June and staying at the grand villa real hotel while there we plan to eat well and hope to find some good restaurants ,what do you recommend for all price ranges high end dining to local cuisine. Indulge in seafood whenever you can, Lisboa and Cascais are great places for that. For good steak, try Dom Prego (very local). I am thinking of traveling to Portugal this fall,and maybe buying a small home. Is it safe for a widow to travel or live by herself? Yes! We have great weather and the people are nice and really friendly. Im not saying this for being Portuguese, but we’re a safe country overall. I’ve lived in Spain and France for 2 years and Portugal is better for living a peaceful and happy life! Hi Bruno, that was an excellent read. I am planning 20 days trip over Protugal, so you’ve helped me a lot. Could you recommend me some places on the eastern and central part of Portugal that are worth visit? 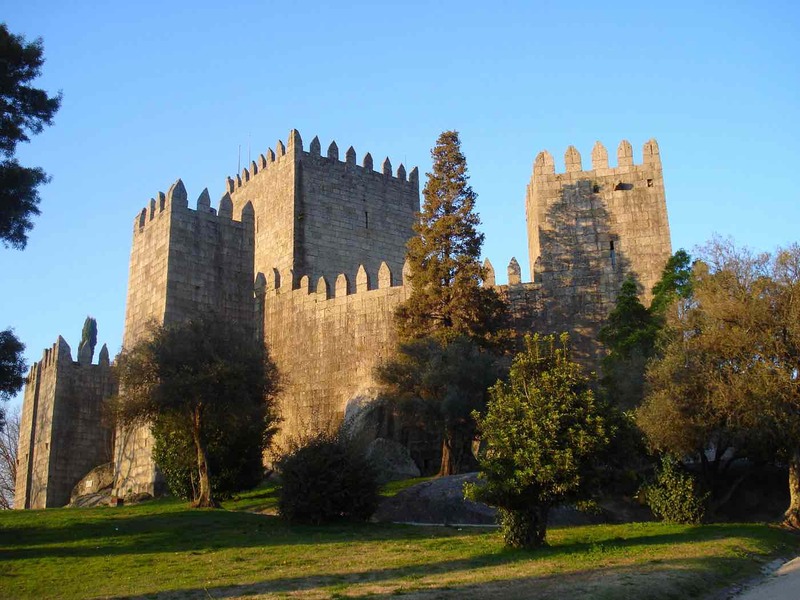 If you haven’t visited it yet, I suggest Castelo Branco ( beautiful town with amazing view from the Castle, with low population, ideal to relieve the stress and chill ) , Evora ( historical buildings, culture ) and Coimbra ( my favourite town to visit on Central part, beautiful streets, buildings, college, and great parks near the river). These are on the central part of Portugal, you can always visit Lisbon,Porto and Algarve(Faro) for the beaches and amazing views aswell. This was a very interesting article. I’m planning a trip in October, and your article got me even more excited to go! 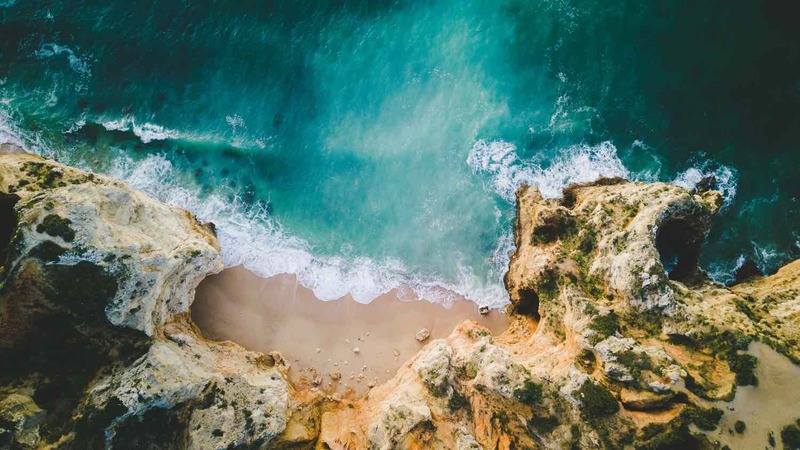 My boyfriend and I (both in our 30s) are planning a trip to Portugal beginning of October (Oct. 1 early morning to Oct. 9 or 10) and we desperately need help with the planning! We will fly into Ponte Delgada where I know a tour guide, so we don’t need suggestions for there, and stay a few days, then fly to Lisbon. We want to stay in Lisbon for a few days then take the train to Porto for a few days too, and then come back to Lisbon to fly out. We’re not sure how many days to spend at each of those places. We are interested in wineries, food, culture, beaches, river cruises, city tours, half/day or day trips, etc… What other cities should we visit and how to get to those places. I’ve been recommended to see Matosinhos, so I’m thinking surf class. Any suggestions are welcome. Thank you so much for any advice you could give us. Looks like you have everything well planned out. I recommend maybe going to Sintra. 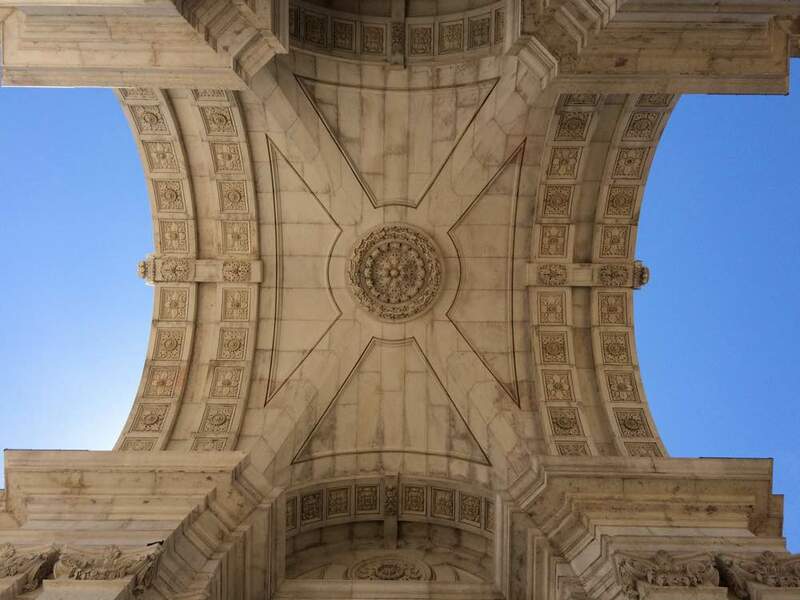 Check out my other article about experiences Lisbon in this same blog! If you are into wineries, don’t miss the wine lodges of Gaia (opposite margin of the river of Porto). 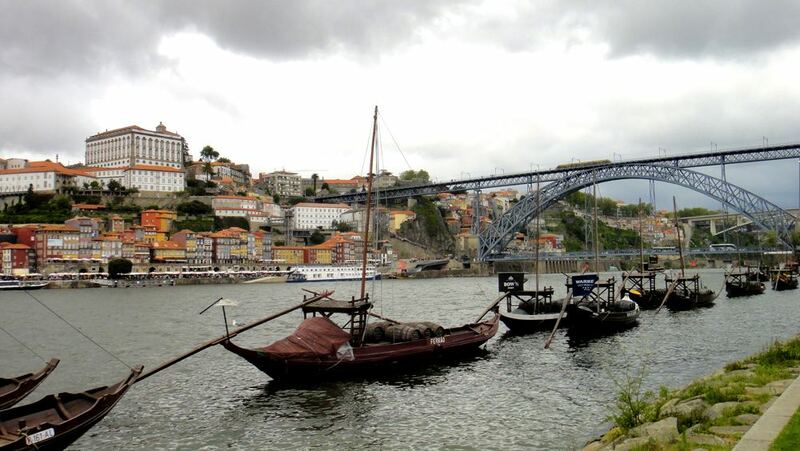 A river cruise through Douro might be a good idea for a daytrip! What a fabulous article! At first I was hesitant about going but now I am 100% convinced! I like the originality , sincerity and sense of humour about this article! I’m sure you are going to have a GREAT time! We visited Portugal this summer – and loved it. One of my favorite towns was Evora. The span of history was fascinating…19th century buildings, gothic cathedral and bone chapel, Roman temple, and megalithic standing stones. All with a wonderful square with restaraunts and good wine. Thanks for your feedback Laura. Évora is indeed such a charming city with its medieval walls in the middle of those huge fields around. I found the bone chapel a bit too creepy – maybe because I was there all by myself! Wow, thanks for your feedback Delbert. I went to Lisbon for my Honeymoon. We wanted a European country that had great history, wasn’t one of the typical locations for people to go honeymooning, had amazing food, and was relatively inexpensive. Portugal fit the bill and it could not have been better. The food was ridiculously good (I really love food, lucky I got a good metabolism) and the fish was amazingly fresh. I had fish for every meal and I never got bored because they can cook it in so many different ways. And you really can’t beat $9 Salmon fillets bigger then my face. The history is great and everything there is old and beautiful. We went in May and had an amazing time. The Lisbon Zoo is the best I have ever visited. We originally weren’t going to go but had such a great time at the Aquarium that we decided to check it out. It was huge and amazing. Like everything else there. All together, including our plane tickets from the US, I think the whole trip cost us $4500, maybe, it was more likely less. But it was worth twice that for the experience we got. Thank you for sharing your story! 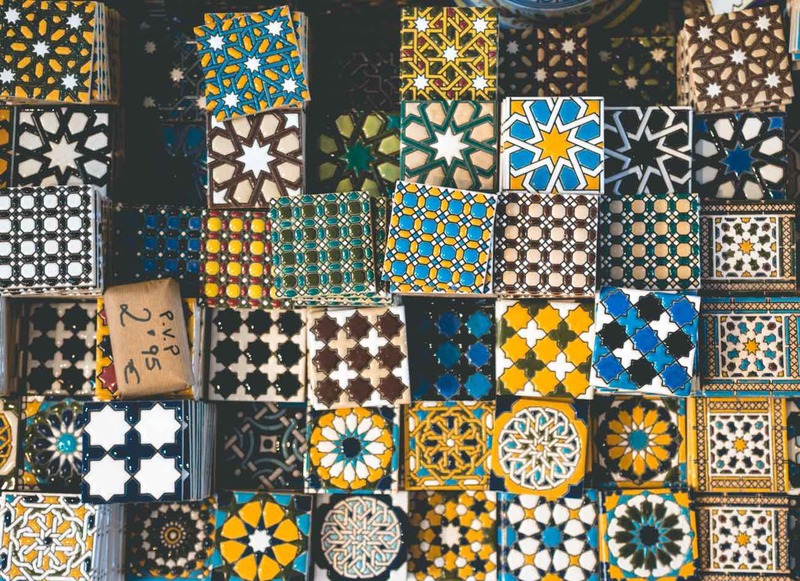 Portugal is not often chosen as a honeymoon destination, but it’s such a diverse country it really has something for everyone. I’m still to find a better place to eat fish than Portugal. It’s cheap and it’s delicious. Just reading you talk about it made me hungry!! Did you do any daytrips? Let me know if one day you are willing to come back, can help you with some tips and planning for other places in the country! Glad it put a little curiosity bug inside your minds, now it’s time to go and experience them yourselves! Great review and now I have great ideas of where to go on our trip in June with my inlaws(60ish,brother and wife) and my teenage kids..Looking forward to the Azores and southern Portugal for the beaches..I have always wanted to go whale watching so that is now on my list of things to do in Portugal. 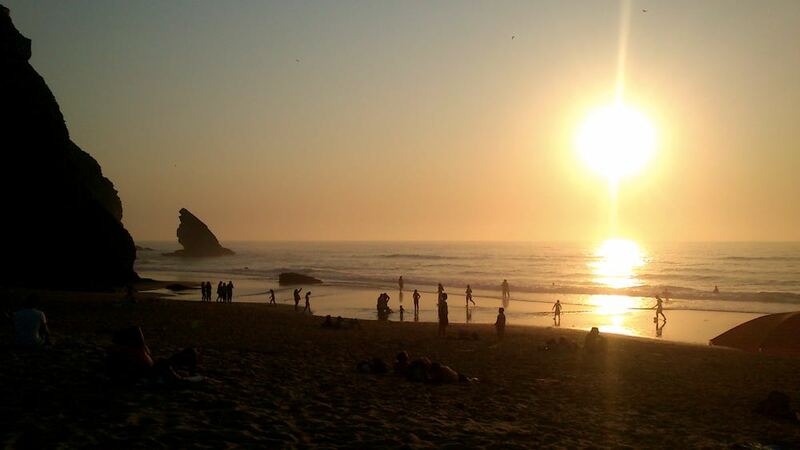 Can you suggest a great beach with waves in Sao Miguel? 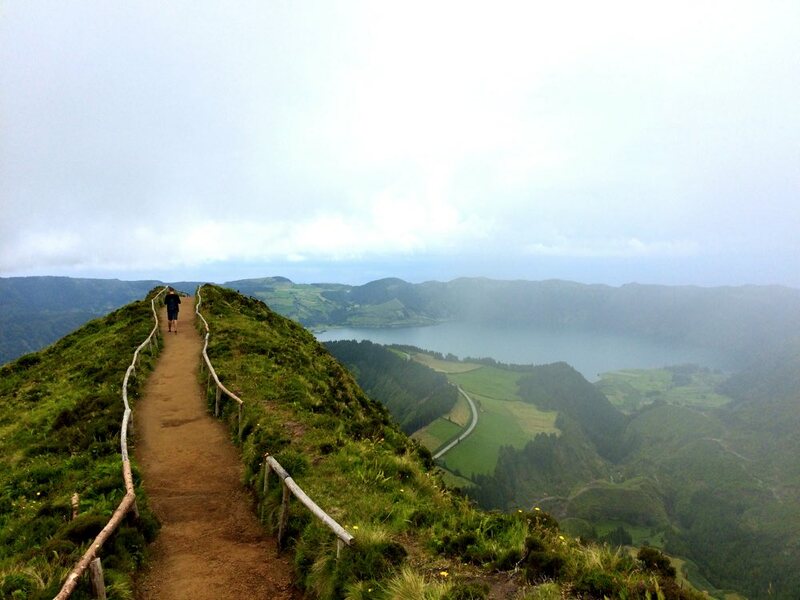 Also how many days would you suggest for the Azores and the mainland? We are coming from the U.S. And staying 12 days trying to see as much as possible with some relaxation too..
Well, almost all beaches in the Azores have waves. If you’re looking for particularly big waves, the best are in the Northern coast of Sao Miguel – Santa Barbara for instance. As for the overall timings of the trip, it depends on how many islands you want to visit. For only Sao Miguel, I recommend at least 4-5 days to fully take it in. Check my article on the 4-day itinerary of Sao Miguel to have a better understanding. DON”T POST this… it’s just a note to you. 1) Great post… I’m sold. Coming in April. Thanks for flagging the typos. Have a great time in Portugal! Great choice, September is the ideal time to go to Portugal! I like what you guys are usually up too. This sort of clever work and reporting! Keep up the fantastic works guys I’ve added you guys to blogroll. Amazing post. LOVE it and really miss Portugal!! I can’t wait to go back and re-visit the sites and places… Portugal was my first solo trip <3 It will always hold a special place in my heart. Solo travels always have a special place in our heart, don’t they? Where have you been in Portugal? I love Portugal and I have another one for you- did you know it’s about the only place in Europe (I believe) where you can snorkel with seahorses! I went in the Ria Formosa in the Algarve and saw lots- they are such amazing little creatures! I didn’t know this and I’m now super curious about it! Thanks for sharing, definitely a good 44th reason! I just came home from 2 months in Portugal! We stayed up north about 2 hours away from Porto. I felt a pang of nostalgia reading this (especially the bacalau). The Sporting & Benfica stadiums in Lisboa are pretty cool for all the soccer-lovers (which is almost everyone in Portugal haha). Soccer is pretty much the favorite topic of conversation of every portuguese (except me). Where did you stay? 2 months is a long time, you must have wandered a lot! A childhood dream to visit and experience my birth father’s Portuguese bloodline (Santos) of where they originated from. I have yet to do the genealogy to know exactly where my grandparents (Andrade and Santos) and great grandparents originated from by ship to Hawaii. That in itself would be so meaningful to me. It is a goal to make my dream a reality! I am thankful and love all that is shared of my heritage. It’s really impressive to see how much you appreciate your own heritage. I’m sure a visit to Portugal would be a trip to discover more about yourself, you should definitely put it on your plans. Portugal especially the Azore Islands have been calling to me for a while. This nearly killed me! I am hopeful for 2016. Up next Africa! Roar! Wow, have a great time there! Where are you going? I got back 10 days ago:) I went to Tanzania. Kilimanjaro was amazing and the safari great! Dreaming of my next trip I looked up the Azores and saw the weather in December isn’t great. I’ll have to find another vacation time to make it work! best time to go to Azores. Loved this article! I’m moving to PortugalPortugal from the US in January for work and any info on day to day living as well as things to do is always appreciated. I’m so excited to experience this country! Thanks Sarah, glad you enjoyed the read! Thanks for your words Nichola. Looks like you’ve been everywhere, you just need to go to Azores now! My husband is from Portugal and my mother in law lives there now. I visited a few years ago and absolutely fell in love with the country. I long to back! We fully plan on living there one day. It’s definitely a good place to live, specially if you seek a very relaxed lifestyle near the beach! Great!! Where are you going exactly Linda? a) Populacão amigável, b) bastante coisas para ver e fazer, c) comidas e bebidas da primeira, e d) a idioma näo é super-complicada! Atenciosamente K.K. We love Portugal so much we moved our business here, we are in the middle of the Alentejo near the beautiful city of Portalegre. Our business is based around the touristic motorcyclist a group who love to explore. We found you on a facebook link so we will spread your blog there and hopefully you can spread ours. You can even book us direct through Booking.com and airbnb so get on it. Thank you for a very interesting re evaluation of Portugal. I will definitely take a look and congrats for your business, definitely hit a nice niche there! And thanks for choosing Portugal! I ve been in Portugal twice – my first time was in 2008 and the second one this year. I trully love this country, especially Lisboa (I am sure I will move there someday) and Algarve coast (around Portimao…). I dont want to wait another 7 years for next visit 😉 Btw, its not true that food in restaurants is “deadly” cheap – 6-7 euro is rather an average price of francesinha , not – bacalhau a braz, but I agree with you in all other points. Great article! 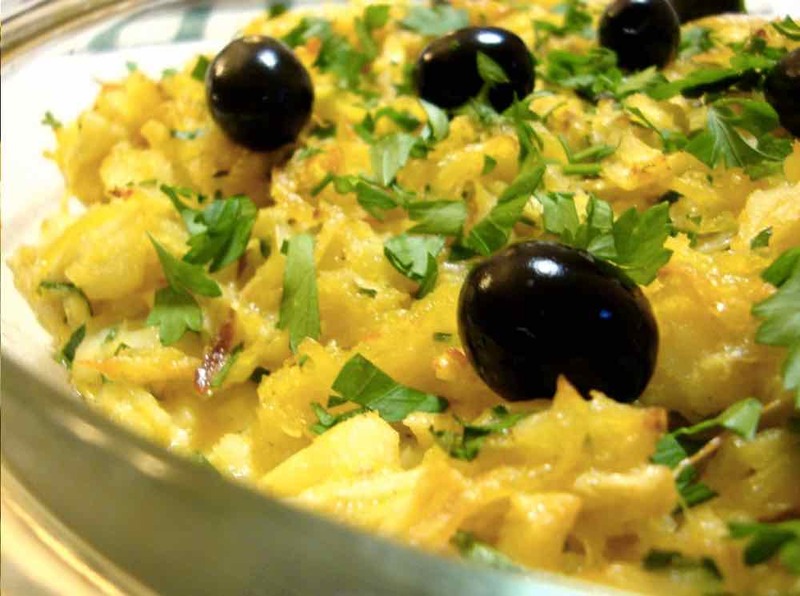 From my experience when I lived in Lisboa I could eat Bacalhau a Bras (and similar) for 6-7 euros as a “dish of the day” in many restaurants out of the most touristy areas. In Porto, next to the place I worked, there was a restaurant with codfish dishes for 4 euros (!). I’m assuming prices at dinner are a bit higher, but it’s possible to eat for 6-7 euros. Anyway, you shouldn’t definitely wait 7 years for the next visit Tom! Great article with beautiful pictures. I am living in the Algarve since 2007 and started a website with info and rentals. I just wanted to add that even in the middle of August there are lots of places to visit or to stay, where you are away from the crowds and find peace and quiet. Thanks for your insight Marianne. I was mostly referring to the most touristic places and major cities, I’m sure there are beautiful places where you find some peace, even in August! All great points! Now I’m craving Portuguese food and wine. Do you know where I can find good Portuguese recipes? But I’m sure there’s a Pinterest board about it! Maybe I loved Porto so much because I lived there and got to know the true essence of the people, the city became even more beautiful on my eyes. Great article! 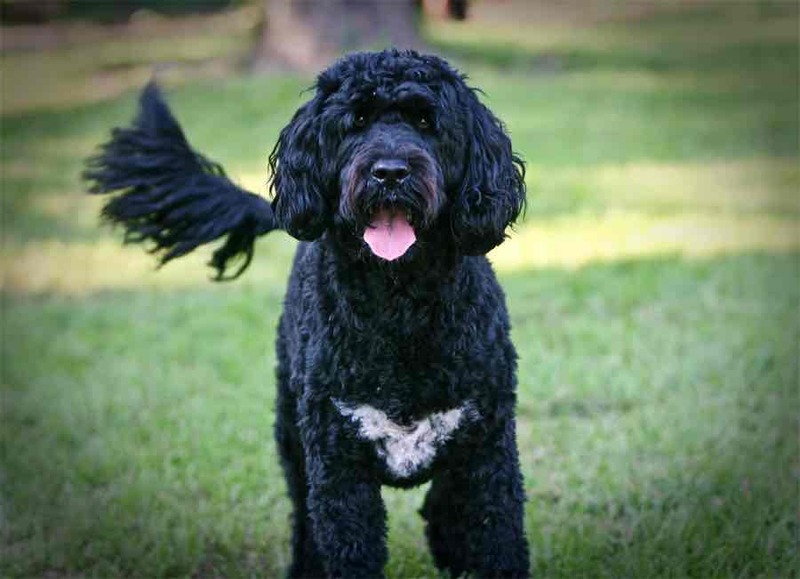 If this article AND the Portuguese water dog didn’t convinced you… nothing will. I’m predicting that dog will be hired by Portugal’s tourism board.